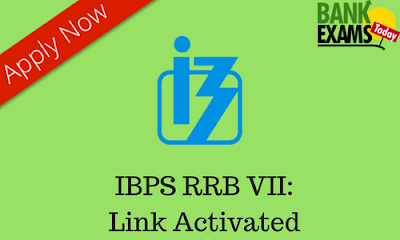 Institute of Banking Personnel Selection (IBPS) has activated the Application Window for RRB VII 2018 Recruitment. Those who want to apply can apply from here. Click Here to Apply Online(Officers Scale-I). Click Here to Apply Online(Officers Scale-II & III). Click Here to Apply Online(Office Assistant (Multipurpose)).